I don’t know anyone who wouldn’t want carbon fiber goodies on their beloved racebike, so for your fantasy perusal, here are some gorgeous shots of Ilmberger Carbon’s newest build: the Suzuki GSX-R1000. They’ve created new body parts and panels for the bike that meld quite smoothly into the lines; this isn’t a full CF build but rather a number of beautiful touches. The full kit for the bike includes pieces like the Alternator Cover, Bellypan, Chainguard, Clutch Cover, Frame Covers, Front Mudguard, Heel Protector, Hugger, Swingarm Cover, Upper Tank Carbon and Plate Holder. 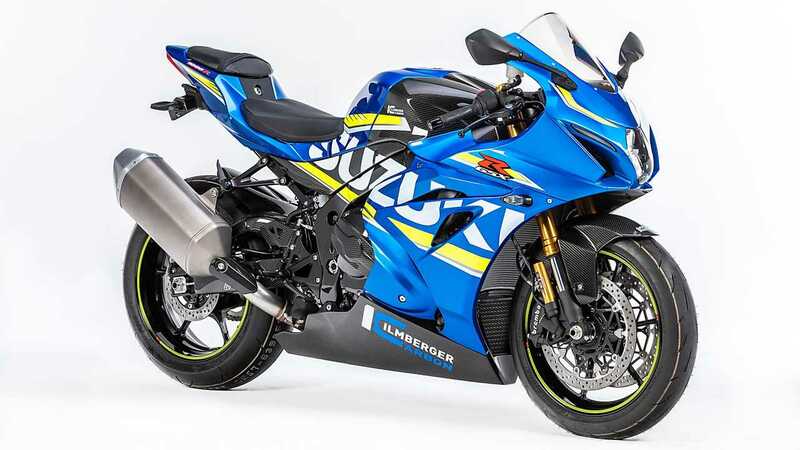 There are seventeen parts in all, and if you swooped into the website and bought them all for your newish (2017+) Gixxer, you will end up spending about 3.858,30 € (this is a German site, and currently the conversion brings that total to around $4,300 US). Actually, pull about $350 off that price tag because you’ve already fitted a fender eliminator kit to your GSX-R haven’t you? That’s still a bit of a chunk of a $17,000 sportbike. But hey, shipping is free! These pieces are indisputably beautiful, but the real point of replacing OEM bits with carbon fiber upgrades is to shave off some pounds. There are several body panels included (and the front and rear hugger are so exposed those are sort of givens, because they’re pretty), but the real weight savings comes from the alternator cover on one side of the bike and the clutch cover on the other. In this case you’re replacing a chunk of metal with a chunk of carbon fiber, so the weight there will be measured in pounds not ounces. The company insists that their pieces are not only UV resistant (seriously, this is a big one; have you ever seen an old CF hugger on a bike that’s dull and sad, and also extremely brittle?). They also tout the pieces are environmentally friendly (I’m guessing that’s in reference to their manufacturing processes), and TUV/ABE approved (that’s the German DOT equivalent). I will leave you to drool over the gallery below and fantasize at your own leisure. You know these pieces are German built, so they’re going to fit without that… ah… let’s call it “finesse” that you have to do to when reinstalling plastic panels on some Japanese sportbikes. Since founded in Germany in 1990 by motorcycle racer Julius Ilmberger, Ilmberger Carbon has become the go-to destination for premium motorcycle brands when they want the ultimate in carbon fiber parts on their special edition offerings. When BMW Motorrad created their $78,000 HP4 Race it was Ilmberger that was commissioned to create the all-carbon body panels. Ilmberger creates carbon parts and unique builds for top Euro and Japanese brands. Ilmberger latest build is the Suzuki GSX-R1000 Carbon. Alternator Cover, Bellypan, Chainguard, Clutch Cover, Frame Covers, Front Mudguard, Heel Protector, Hugger, Swingarm Cover, Upper Tank Carbon and Plate Holder. The attention to detail and precision carbon fiber manufacturing at Ilmberger is truly impressive. 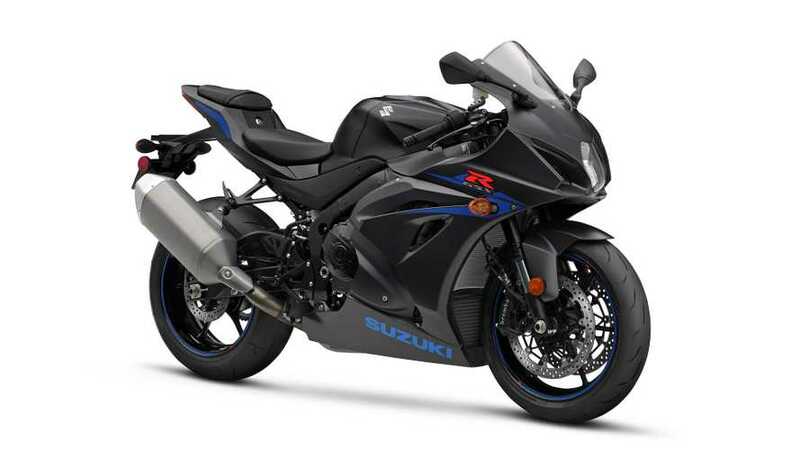 Attached are a few images of the stunning Suzuki GSX-R1000 Carbon. Ilmberger uses superior autoclave carbon process with highest standard in prepreg weaving. This process creates the lightest and toughest carbon fiber pieces that are UV resistant. All their parts are TUV and ABE approved and are environmentally friendly.